De tijd vliegt! Het is vandaag exact 1 jaar geleden dat ik met deze bierblog begon. Genieten van bier doen we uiteraard al veel langer, het neerpennen van belevingen/indrukken/ervaringen slechts sinds 1 jaar. Hopelijk hebben jullie er samen met mij van genoten en kan ik er nog vele jaren aan toevoegen. Wie suggesties heeft, opmerkingen of tips mag altijd een berichtje nalaten. You’ve got a very interesting blog! I don’t speak Dutch (or Flemish), so I read it via Google Translate. I’m visiting Belgium this summer with my buddy – we’ll be in Bruxelles, Gent, Brugge and Antwerpen. 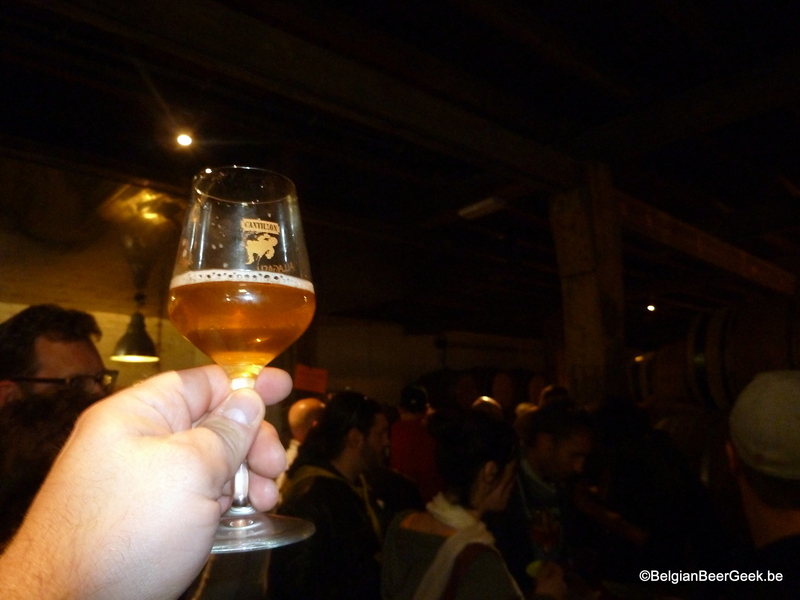 I’d be happy to meet you there and hang out in some fine bar – I’m a big fan of Belgian beer culture and it would be interesting to hear your thoughts about beer. Please let me know if it’s possible? Thanks! Our first week will be in Bruxelles (18-25 July), about the second week I’m not sure yet in which city exactly we’ll reside (maybe, Brugge). Anyway, our plan is to visit all of the arforementioned cities. If it’s ok for you, I can e-mail you via the contact form closer to our arrival date (in advance, of course). Thanks a lot for your acceptance of my offer! I’ll be a part of July in France, I might catch your last days in Brussels. Then we can meet at Moeder Lambic or Cantillon or…..
We’ll stay in St. Gilles, 500m from the (original) Moeder Lambic and it’s definitely a good place to meet. Anyway I’ll write you back in July to confirm the details. Thanks again and good luck with your blog – it was a recent find for me but I got instantly hooked! Congratulations on your first year! That’s a big mark to hit. We’ll definitely add some good adventures to write about this fall.